Why would ? Or ? This mistake was brought to you by the letters M, A, R, Y, B, O, U, R, A, S, S, and A. You can follow her on twitter and on her blog. 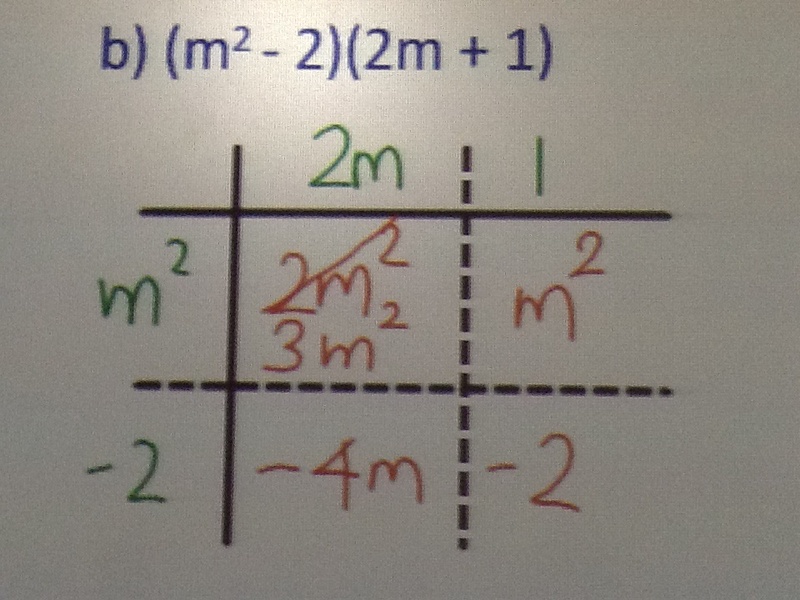 Posted in Algebra 1, Multiplying Polynomials, Seeing Structure in Expressions.